HFCL is a trusted end to end telecom infrastructure provider, offering its solutions to various telecom operators, ISPs, Government organizations, infrastructure companies and big public utility organizations. It is ranked among the top 500 Indian companies according to D&B data of May 2015. HFCL’s fully automated plant at Goa is equipped with state-of-the-art R&D facilities and latest machines from Swiss Cab, Rosendahl, Nokia, Medak & Schroner etc to produce 1F – 576F Optical Fiber Cables (OFC) customized to suit different client needs. HFCL also has two more OFC manufacturing plants in Chennai and Hosur (through its subsidiary HTL), making HFCL one of the largest OFC manufacturers in India. The manufacturing units are ISO 9001 – 14001 accredited by TUV SUD. The Company manufactures high quality OFC which form the backbone of telecommunication networks used in critical applications. HFCL cables are designed to suit applications in NLD, Access & FTT-x Networks, and address crucial applications through special offerings like fire survival cables, tactical cables, etc. HFCL products are CE certified and meet all international IEC, EIA/TIA and Bellcore standards. 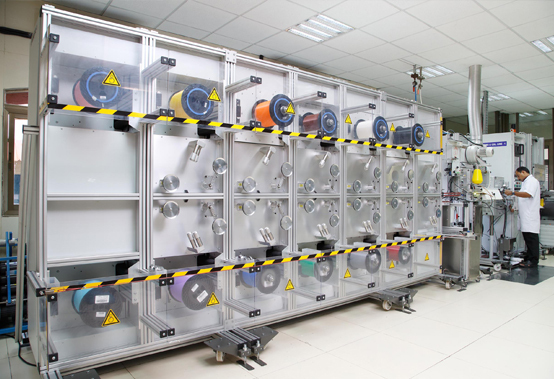 The Company exports its cables to 27 countries across five continents and the spread is growing. Aerial cables are best suited as backbone in overhead applications. 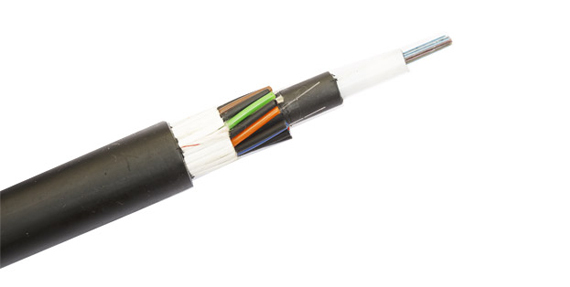 These cables offer reliable transmission over a broad temperature range. They can be installed either pole-to-pole, or lashed to existing infrastructure available for long medium & short span routes. Aerial – Figure of 8 Figure 8 self support cables are designed for use in aerial applications as an alternative to lashing. An integrated messenger wire support provides the necessary tensile strength and the outer sheath is extruded in the form of figure of 8. Armoured cables are installed in Outside Plant Applications (OSP) suitable for indoor duct or direct buried installations. The cable has a very high compressive strength & the armoring provides protection against rodents and other types of likely mechanical damage. Available in a variety of designs such as non metallic steel tape & steel wire armouring cables. Armoured Steel Wired Cable Steel wire Armoured cable makes cables rugged to be suitable for direct burial with excellent cursh resistance and full rodent protection. Used in areas where mechanical impact on the installed cable is to be expected. 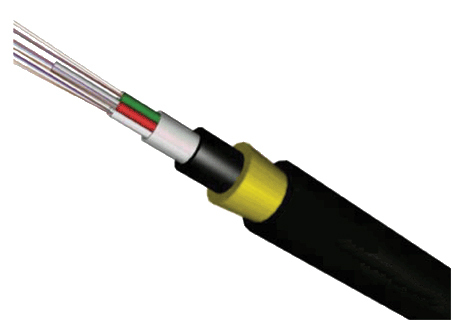 Armoured CSTA Cables Armoured Fiber Optic Cable Series are suitable for direct burial applications as well as duct applications. Corrugated Steel tape armoured cables are designed specifically for use in areas requiring a high degree of mechanical protection. The cables are extremely rugged and provide good rodent protection. Armoured – Glass Yarns Glass Yarn Armoured Fiber Optic Cable Series are meant for duct applications. Dielectric strength member – Glass Yarn, gives protection to the cable against rodent attacks. Because of their dielectric nature cables can be laid along with high voltage lines inside ducts. 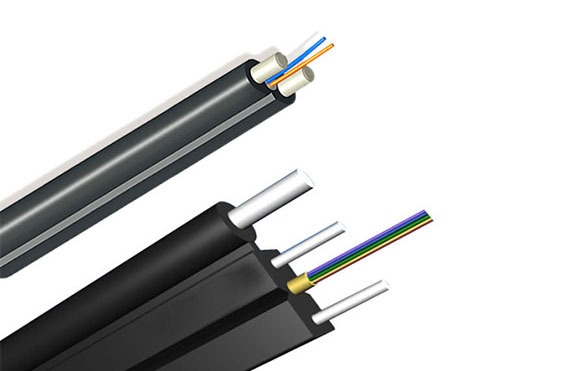 FTTx cables consists of group of cables for indoor & outdoor applications. These cables are used to connect the external networks to the subscribe building. FTTx Drop Cable Drop Cables are designed for quick installation and serve as the last link in aerial and building applications. FTTx Premises Cable The Premises cables are designed to be compact and can be used internally as well as externally. 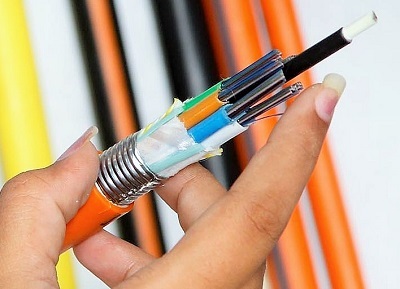 Tight buffered cables are perfect for inter equipment connections. These cables have high strength and good bending performance. Tight buffers of 900 microns surrounded with strength member aramid yarn and jacketed with outer sheath. Simplex – Duplex Simplex/Duplex cables are designed for short run indoor applications. These cables are used in the manufacture of patch cords. FTTx – Antenna Cables Fibers to the Antenna or FTTA cables provide connection between the base station and remote radio unit. These cables have good crush resistance and bending performance. FTTx – Flat Drop Cables Flat drop cable offers ease of installation of standard loose tube cable in an easy access loose tube design. The dielectric element eliminates any grounding requirement. Micro cables are meant for use in micro ducts by air blowing techniques. The small outer diameter provides the required rigidity & flexibility for blowing/pushing through ducts. Its lower minimum bending radius makes it easy to operate and splice. Micro cables are used for laying in broadband and long-haul network in areas having confined spaces clogged with cables and open to further disruptive upgrades of the network. Micro Cables Micro cables offer flexibility of upgrading a network that can quickly grow and change. Micro cables are meant for use in micro ducts by blowing. Its small outer diameter provides the required rigidity for blowing/pushing through ducts offers lower minimum bending radius. 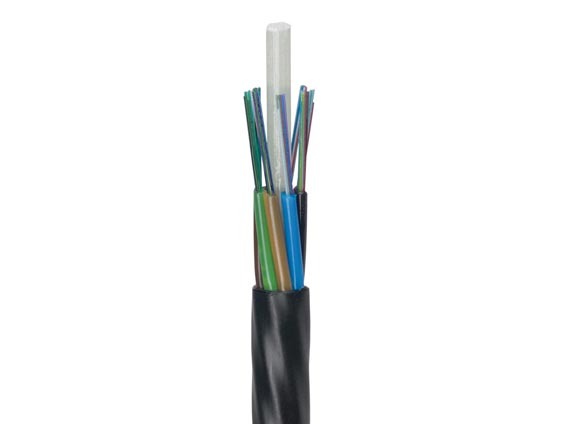 Micro Blown Cables These cables have small dimensions and hence are highly flexible and are recommended to be blown in micro ducts or existing ducts enabling simpler network planning. Such cables are used where confined spaces clogged with cables and disruptive upgrades are a concern. Unarmoured cables used as the backbone in Outside Plant (OSP) environments to be installed into ducts underground either by blowing or pulling methods. These cables can be laid along with high voltage lines inside ducts due to their dielectric nature. A wide range of cables are available as per the specific environmental conditions of cable deployment. Unarmoured Cables These cables are recommended for duct installation. They are easy to install and have a rugged PE outer sheath with strain free fibers due to S-Z stranding and loose tube design. Longitudinal water blocking compounds in tube and core. These have easy mid span access.